Crunch, Crunch…Crunch, Crunch…. What’s that on the roof? Is it a burglar or a vagrant? A vacuum salesman or a Sasquatch? Damn look, it’s Santa on his sleigh with Kraang and the faded Jeffree’s mascot tossing out Christmas dub plates for the entire land. 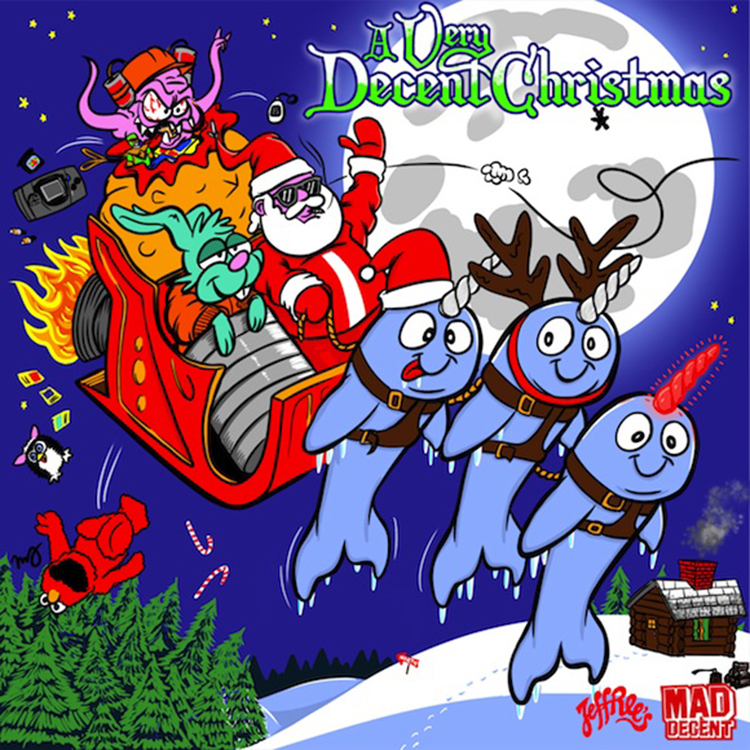 I think it’s safe to say that here at Mad Decent we caught the christmas spirit hard this year. We went all out and had our biggest tunes remixed by the artists themselves xmas-style for your pleasure. Laid out here are some serious xmas re-imaginings from Diplo, DJ Snake, Gent & Jawns, Juyen Sebulba, Astronomar and Kennedy Jones. Also on the original side of thing, Vjuan Allure gives us a vogued out reindeer stomper with “RUDE OFF 2013” and Mitch Murder unleashes a fireside roasted chestnut R&B ballad with help from Santell. Merry Turnt up Christmas and a Ratchet New Years!